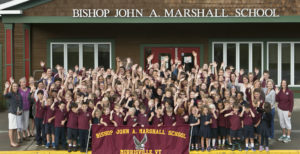 Bishop John A. Marshall School (BJAMS) is an independent Catholic school serving children in Pre-K through 8th grade. Our goal is to provide children the ideal atmosphere to be who they were created to be, to reach their fullest potential, and to protect their innocence. 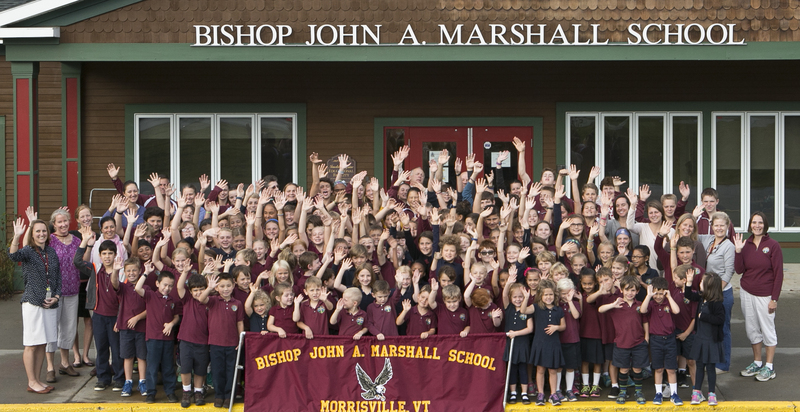 The school is located in Morrisville, Vermont (Lamoille County), which is about 10 minutes from Stowe, about 25 minutes from Waterbury, and just 15 minutes from Johnson and Wolcott just to name a few. Families from 15 different zip codes attend BJAMS. While BJAMS has a strong Catholic identity, families do not need to be Catholic to be a part of the BJAMS community; the school welcomes families of all faiths! The school is proud of its advanced academic program. 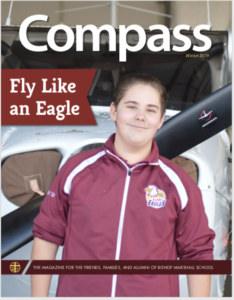 At the end of each year, students take the Terra Nova standardized test, which is a comprehensive assessment that benchmarks performance across the country. BJAMS students rank between 1-4+ years ahead of the national average on the Terra Nova tests. This is possible because of our curriculum, our amazing faculty, the loving and nurturing environment in which the students can excel, and dedicated parents. Also worth noting is that over 80% of students make honor roll in this advanced curriculum. Soccer, Basketball, Skiing/Snowboarding, Cross Country Skiing, Karate..
BJAMS is a tuition-driven school, which means that we receive no public funding and rely primarily on tuition to operate the school. We also have a substantial fundraising program working to cover what tuition does not. BJAMS’ cost per pupil is roughly 50% of that in Vermont public schools. Often, tuition can be a significant deterrent for new families, however we offer a considerable amount of tuition assistance on an annual basis and go to great lengths to make attendance possible for desiring families. Learn more about tuition and tuition assistance. This website contains a wealth of information related to various aspects of the school. If you don’t find what you are looking for you can request more information or schedule a time for a visit.